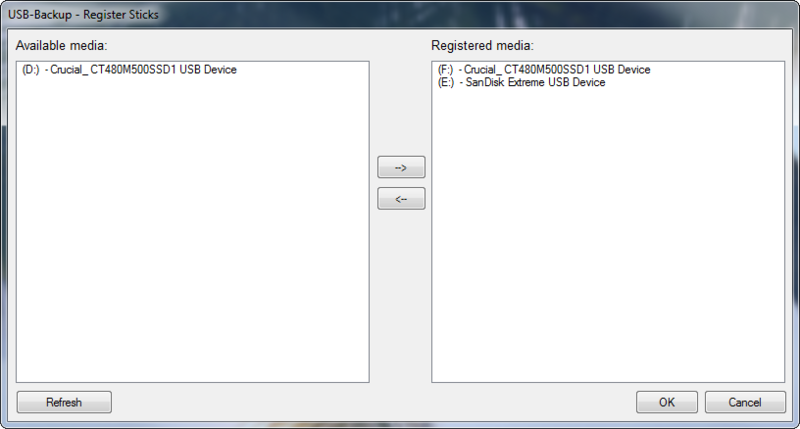 USB-Backup is a free Graphical user interface for creating encrypted backups to external media. It is distributed under the GPLv2-License. For the compression and the backup format itself the proven and very good compressing Open Source Software 7-Zip is used. The assurance is based on the so-called differential backup. In this method, the first backup is a "full backup" of the desired data is then updated only by updates. 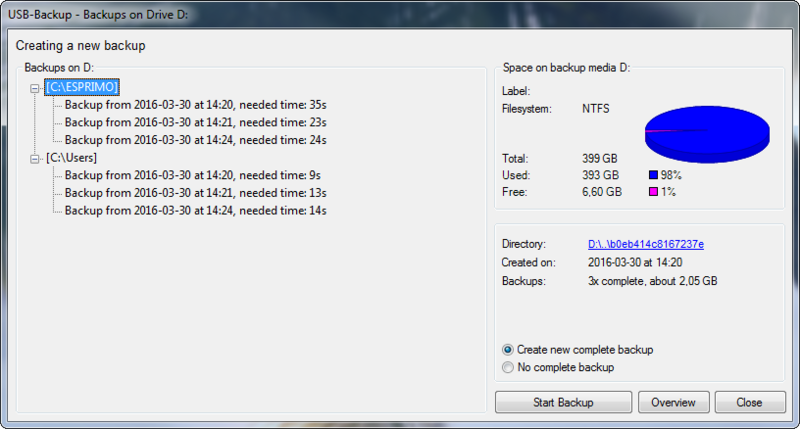 This way, only the first backup is time consuming and each additional update goes quite quickly. Furthermore, one can quickly restore all the data again in case of emergency. during the initial backup, a password is set - without a password, you can not back up! - writing the Index didn't work correctly some times, fixed now! - new work around for the "wait for nothing loop", problem is solved now! 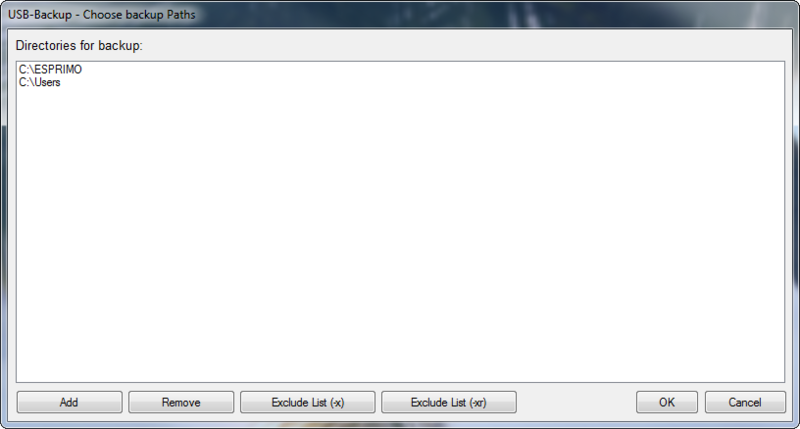 - GetOldestBackup() didn't search for the oldest TimeStamp .. now it does! error ... this was a very bad fault, so all users must update! - 7z.dll unterstützt nun deflate, bzip2 usw. sofort angezeigt werden... sondern nur, wenn das der aktuelle Task ist! 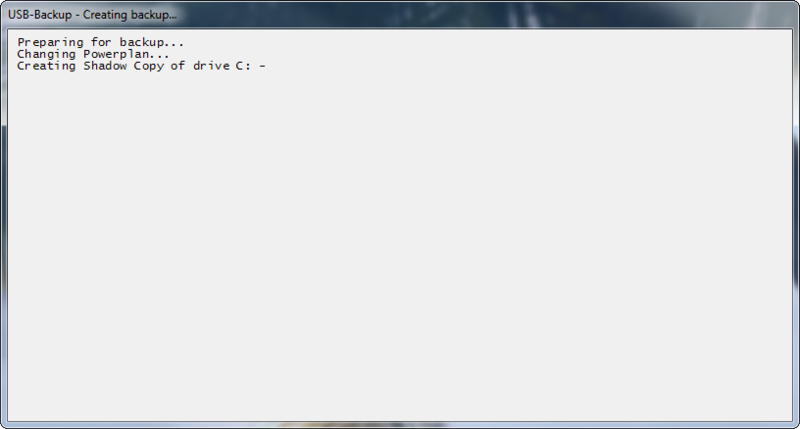 The program 7-Zip with support for should be installed and also registered with the .7z extension in Windows.